The only returns any retailer wants are customers coming back to their store. But let’s face it - you can’t please all of your customers all of the time. Products get returned every day. In fact, depending on what you sell, between 20% and 40% of online purchases are returned. That’s a lot of stock to manage, and a lot of customers to keep happy. You think you’ve done everything right: you’ve marketed your brand and your products and enticed your customer to your online shop. Not only that, but they converted too! But wait, they’ve returned the product. What went wrong and what can you do to make sure this process is as painless for you, and as simple for your customers as possible? Why do people return your items? This is the first thing you need to understand. What changed in the customer's mind on receiving your product? Did something go wrong? Did you send out the wrong colour? Was the sizing wrong? Was it broken or damaged? Was the product not what they expected? Did they order more than one to check size and fit? There are steps you can take to tighten up your processes and minimise returns. Keep in mind though, sometimes customers just return things. They have a change of heart or realise that they don’t need it or can’t afford it, and that isn’t your fault. This is critical. People read returns policies because they want to know how much of a pain it is going to be if they need to send it back. You might think people skim over them, or ignore them all together, but they are a critical part of the buying process. Your customer wants the experience to be as easy as possible and you should want the same. Online selling is “distance selling”. In the EU, this means that customers have certain rights to return goods for whatever reason. A bad ecommerce store will make it a difficult, drawn out process, hiding instructions in huge terms and conditions documents or, worse still, have nothing on site at all. A good ecommerce store understands that the returns process should be as straightforward as the purchase process. Make sure your returns policy is simple to follow and clear. Don’t give your customers a reason to say no when you have got this far. This brings us to the topic of free returns. This is a sound that most small ecommerce businesses don’t want to hear. It cuts into margins and makes it easier for customers to return things if they change their mind. But all of your big competitors are doing it, and it is becoming common practice in the ecommerce industry. It worked wonders for ASOS. ASOS implemented free returns and became an icon in the booming ecommerce landscape. It is one of the innovations that they are known for. It might not be the most profitable move for any company, but it certainly turns you into a brand that can be trusted by loyal customers. How do you reduce returns? Well this is the question on everyone’s lips. According to the KPMG (via the Financial Times) the women’s fashion industry sees returns of 25% of all online sales. This is a massive chunk of revenue that disappears for a number of reasons. People return items because, when they excitedly open that package, it wasn’t quite what they wanted. Something didn’t match up with their expectation. Make sure your product descriptions include as much relevant detail as possible. When it comes to material, even put down the percentage of the fabric blends you use. Leave absolutely nothing to surprise. Surprise is what makes people change their mind. Even go to the length of including your product care information right there on the page. Everyone knows that a size 12 at one shop isn’t the same as a size 12 across the street - a 34” waist on a pair of Levis isn’t the same as a 34” waist on a pair of jeans from Wrangler. Measuring is inconsistent in the fashion industry. So what does this mean for you? Well, as with your product descriptions, be as detailed as possible. When you’re creating your sizing charts, or fit information for your ecommerce site, make sure you put as much information in there as possible. If you’re measuring your women’s sizes in the standard numerical way, make sure you include the REALISTIC measurements. It might mean that you pull the tape measure out yourself and check the products, but the more accurate details you can provide, the better. Companies like Rakuten Fitsme have gone to extra lengths to help combat returns. Fitsme doesn’t just generate standard fit information based on linear measurements, it takes into account body type, shape age and weight - those all important factors that make clothing fit slightly differently on different people. This level of detail is exactly where fashion retailers need to aim if they want to help customers buy the right clothes first time round - and cut down on returns. Another factor that may impact your returns are the various payment options that you are able to provide. Some customers might get carried away in an online shopping spree, and realise when their products arrive, that they maybe shouldn’t have indulged so heavily. Offering your customers a buy-now pay-later solution might be exactly the incentive they need to get them to convert. But not all ecommerce retailers can provide credit facilities or payment on account. An more beneficial solution is a staggered payment method - if your customers are paying for big ticket items over the course of several months, it may be a more affordable and attractive purchase, reducing buyer’s remorse on high value items. Klarna, the payment solution provider that supports ASOS and Topshop, is changing the way customers buy online. It takes the pressure off your customers to pay at the point of sale, removing the fear and regret barrier. Not only does this reduce the chance of your customers returning products in a fit of panic, it increases the chance that visitors might buy products that had previously been out of budget. This is where the returns process becomes more expensive for retailers. 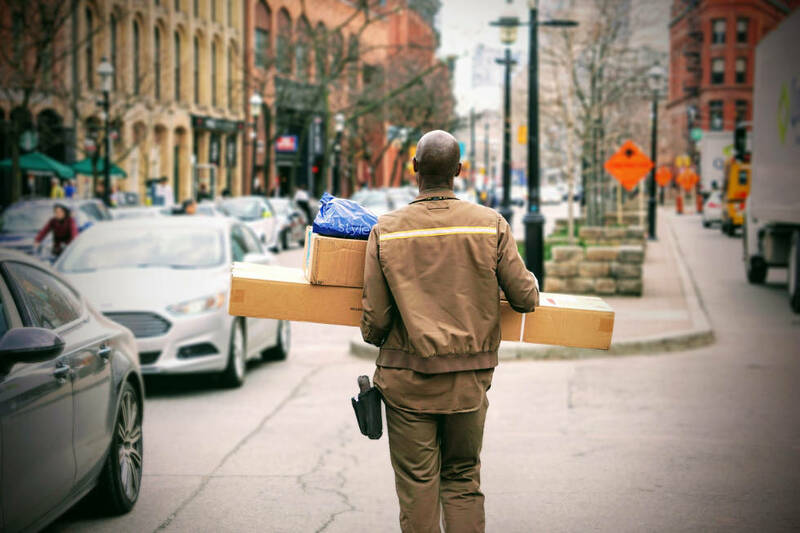 Shipping out products is simple, you just pay postage, add a delivery charge (or spend threshold for free delivery) and your package makes its way to your customer’s doorstep. When a customer posts a package back, it becomes more complex. You can’t just add that product back to your stock and then sell it again. Everything needs to be processed and checked, and that takes time and resource. You also run the risk of this product losing relevance if it was part of a limited run or goes out of season. It really is a minefield. Returns are always going to cost you money, but that doesn’t mean you can’t limit the cost your business. Make the returns process as simple as possible for your customers. The quicker the item is back in stock, the less money you will have lost over time. You might think that returned clothing isn’t so bad, but in reality the majority of returned clothing never makes it back onto the shelf. Reprocessing is such a long and expensive process that the clothing usually ends up in landfill. One solution provider has been working to try and give small businesses the chance to compete with big brands like ASOS and Amazon, who have enough resource to deal with these issues. Clicksit simplifies the returns process by putting everything in one place, including a choice of logistics providers and the option for your customers to print their own returns labels. This is ideal, because it makes returning an item as easy as possible for your customer. It might seem like a bad thing, but the more you help them, the more they are likely to associate your brand with great customer service and the less time it will take for you to process the return, reducing the handling costs at your end. Could you be better managing returns? How do you compete with ecommerce giants? Not only do they have all of these optimised processes in place, they invented them! You might not yet have the resource or the time to implement these processes yourself, but there are a host of third party service providers out there replicating this level of service for smaller retailers. What you need to do is implement a strategy - from pre-purchase with accurate and relevant content, to clear and flexible payment options, right through to the physical act of making a return.